The people along the coast of Texas are trying to assess the implications of the toxic stew that Hurricane Harvey unleashed, with exploding chemical plants and flooded superfund sites threatening long-term environmental damage to the region. The extraordinary concentration of oil and gas facilities along the coast of Texas has long been trumpeted as an economic and energy security advantage, but in many ways, it exposes the region’s – and the country’s – dependence on fossil fuels as well as its very real vulnerability to powerful storms. Still, Texas’ refiners are trying to get back online as quick as possible, and some have already restarted operations. As of Sunday, September 3, a combined 2.3 million barrels per day (mb/d) of refining capacity remained offline, according to S&P Global Platts, a significant improvement from the peak outages that exceeded 4 mb/d at the end of last week. The Corpus Christi refineries fared better, and thus, have come back quicker than some of the larger refining complexes in Port Arthur/Beaumont. 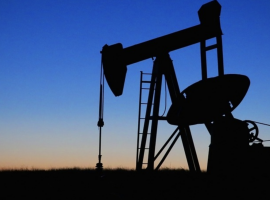 It’s anybody’s guess what the EIA will put out, and it will certainly be closely-watched. But a big buildup in crude stocks could do more to crystallize the problem for oil traders than the data on refinery outages have done up to this point. 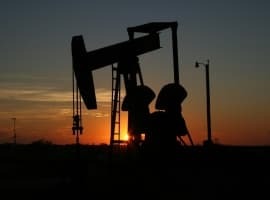 A sudden surge in oil stocks could deflate the recent bullishness surrounding the direction of the oil market, reversing what has been months of inventory declines. It will complicate OPEC’s effort at rebalancing the market, and could add pressure on the group to extend their cuts for another 3 months, as has reportedly been considered recently. Many of the Gulf’s ports have started to resume operations, but most are doing so at reduced levels. While that will limit the export of both crude and refined products, it also limits the volume of imports. The effect on the data from the port interruptions will be complex and uncertain at this point. Logic is that overall supplies would be down. Demand only affected the Houston area. Production was cut for the GOM, a large part of the Eagle Ford, and I am assuming it affected production in the Permian while the 675,000 million a day pipelines were shut down. In the interim, finished supplies have been drawn on, and not replaced at the usual rate. Edit of the previous comment. The pipeline from Permian supplied 675,000 barrels a day. "Million" should not have been included.